View registration status and check for submitted records that may be affected by an open recall. 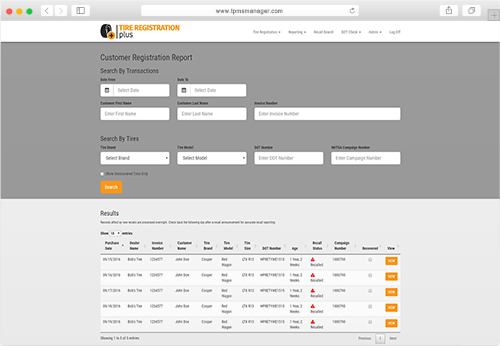 Quickly and easily retrieve your submitted registration records. 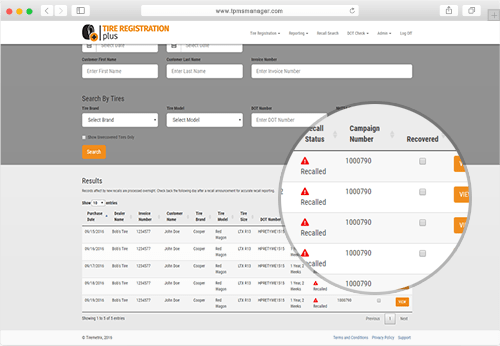 Search for records by a variety of fields, get their delivery status and get vital customer and title information related to tire recalls. 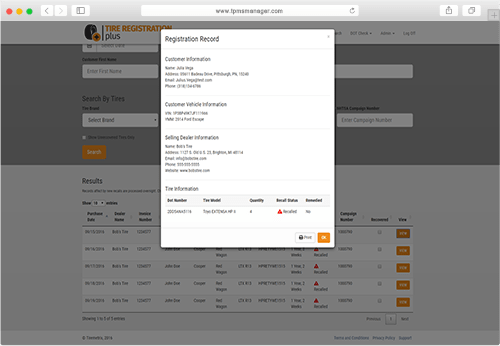 View detailed registration information including customer contact information, customer vehicle information, selling dealer information and tire information including the DOT number and recall status. After discovering that you have a customer affected by a recall, contact them to get their recalled tire replaced. Keep track of the replacement status and keep them away from your competitors.